Dr. Joanne Oh was born and raised in sunny Southern California. She completed her undergraduate education at the University of California, San Diego earning a Bachelor of Science degree in Biochemistry. Dr. Oh received her Doctorate in Dental Surgery at Loma Linda University School of Dentistry, graduating in the top 5% of her class. 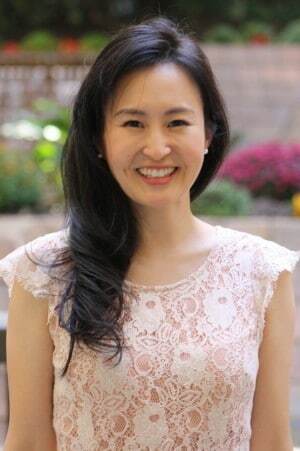 Upon graduation, Dr. Oh moved to New York, continuing her training at a hospital-based general practice residency at St. Barnabas Hospital in the Bronx. Dr. Oh’s top priority remains in providing the highest quality dental care, treating every patient with her gentle touch in a thorough and efficient nature. Outside of dentistry, she enjoys cooking, trying new restaurants, and travel. A: Safe. I would never do anything to harm my patients and I would never recommend treatment that I wouldn’t do on myself. A: Come to your 6 month dental wellness appointments. It is the best, easiest, and cheapest way to make sure your mouth stays healthy. A: I make the best waffles.